In situations of relationship breakdown there are usually financial issues that need to be addressed to enable each person involved to start afresh and rebuild their lives beyond the relationship. This can include consideration of housing needs, division of capital assets , how each party will meet their outgoings ,the needs of dependent children and pension provision. 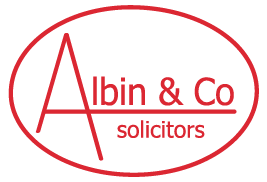 Whether the couple are married or have been cohabiting the law relating to financial issues in the event of relationship breakdown is complex .In most cases separating couples will require specialist advice. Our solicitors have a wealth of experience in dealing with the financial consequences of relationship breakdown. We are committed to helping you find practical fair and sometimes creative solutions to what can in some cases be difficult financial situations. Our aim is to try and achieve a fair and cost effective outcome through “out of court” negotiations where possible whether this be through mediation collaboratively or via solicitors correspondence. Applications to the court may be appropriate in some cases and in this situation we can undertake all of the preparatory work and provide representation at hearings. We can advise you on all financial issues including financial support for dependent children, lumps sums , maintenance provision, transfer or sale of property and pensions. In some cases involving divorce it may be important to delay the Decree Absolute (the “final decree”) until financial issues have been finalised as a premature application for the final decree can have potentially financially detrimental consequences particularly in relation to possible pension entitlement.